New Zealand’s coworking spaces are as diverse as the country is with many spaces offering businesses a range of options from which to choose. Auckland, especially, is seeing a surge of new and different types of spaces offering assistance to digital nomads, non-profits, and an assortment of professionals. For professionals working in this environment, finding space to work is no problem. In fact, one could argue the coworking model is a good fit for the New Zealander whose business culture is one that promotes respect and trust. The coworking space, conversely, provides a platform that encourages an already positive attitude for building business relationships. Those looking to join a coworking space in Auckland will find the guidelines for appropriate office behaviour align with the cultural attitude related to work. Continue reading to learn more about kiwi working etiquette if you’re interested in coworking in Auckland. The coworking space provides ample opportunity for professionals to chat with others in the space. Just by virtue of the way these offices are organised, they encourage conversation. 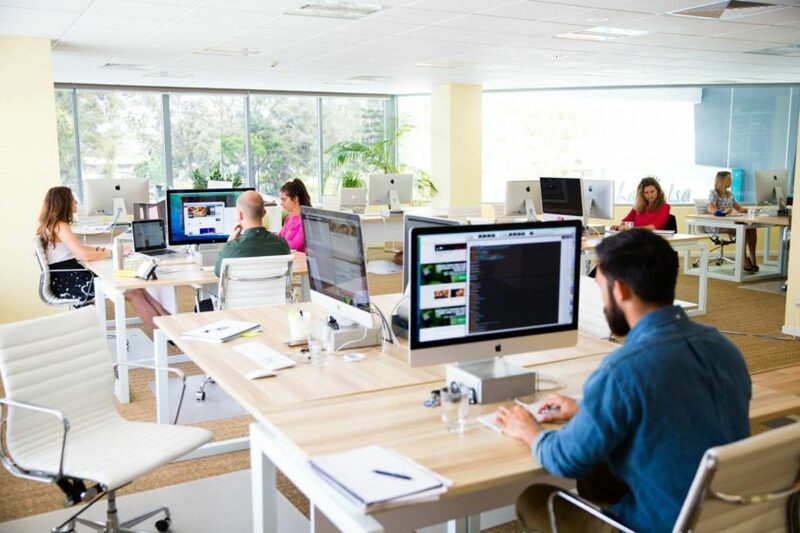 Workstations often place professionals in close proximity, and even if renting more private space, the chance to engage others in the space is ever present. Servcorp Coworking Auckland is a perfect example of how many coworking spaces promote social interaction. At the same time, this proximity can also breed behaviours that can disrupt normal workflow. While a convivial atmosphere, the space is still a professional environment, so conversations that are too lively interfere with others in the space. If you are someone who loves the social part of coworking, keep conversations quiet, or better yet, if you feel the conversation is going to be lengthy consider taking it to one of the designated areas. The coworking space is a public space, and because there are no walls, it is very easy to traverse other boundaries, and worse yet, crowd other’s space. Whether it is talking too loud at the workspace, borrowing other people’s paper clips, pens, staplers, etc., or helping yourself to other people’s unattended snacks, do not assume that everyone in the space welcomes your intrusions. If the person does not offer or you do not ask, then consider the item off limits until the person has offered it to you. While it might seem a trifling thing to quibble over, people traverse boundaries in a million ways before a big blow out occurs. The great benefit to sharing space with others is it can create a comradery that engenders both friend and business relationships. In many cases, it also creates a bond among people who work in the space. At the same token, this same closeness can create a situation where people feel free to treat the space the same way they would treat personal space. Leaving personal items behind, not discarding empty food cartons and packaging, and not making sure that the space is left clean can create annoyance among your coworking mates. While it might seem like common sense, treat the coworking space much like you would treat a conventional office. Personal items, including garbage, should be discarded at the end of the workday, and foods that might spill or are greasy should be eaten in a designated space, whether it is a lounge or a café. Ultimately, your coworking space is a great place to share because it does reflect professional space, and cleanliness contributes to this professionalism. Because coworking spaces generally define their own character, you can find these enclaves to be very different in culture to each other. However, within this culture, many of them encourage inclusivity, which in turn builds opportunities for relationships. At the core of this idea is an office etiquette that emphasises respect for everyone in the space. Previous Magazine : Previous Can Larry Moskowitz Brief You About Corporate Law And Its Understandings?